If you want to discover the country of Angkor Wat, the world’s largest religious building and Buddhism that is practiced by 96% of the population, do not hesitate to take a trip from Vietnam to Cambodia. So many options are given to you as Vietnam and Cambodia share 6 international border crossings (generally open to all foreign travelers as long as they possess a valid passport or visa). The first and also the longest border crossing between the two countries is Moc Bai – Ba Vet. It is on the main bus route between Ho Chi Minh City and Phnom Penh, thus it is considered as the most popular and convenient border crossing. 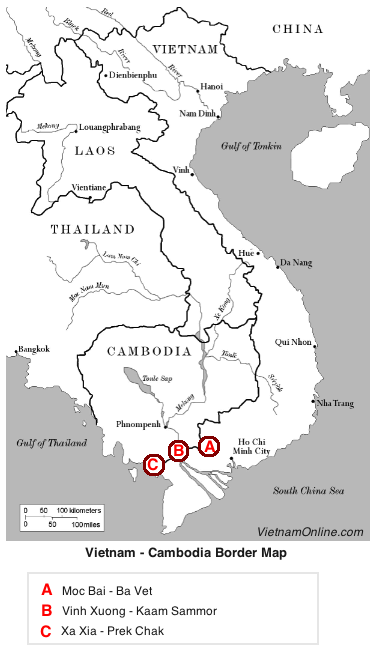 Of these border crossings, Vinh Xuong/Kaam Sammor is a preferred crossing for independent travelers and boat services are available and fast. For the other crossing borders, including Tinh Bien/ Phnom Den, Xa Xia/ Prek Chak, Le Thanh/ O Yadao crossing, motorbike ride is the better choice.